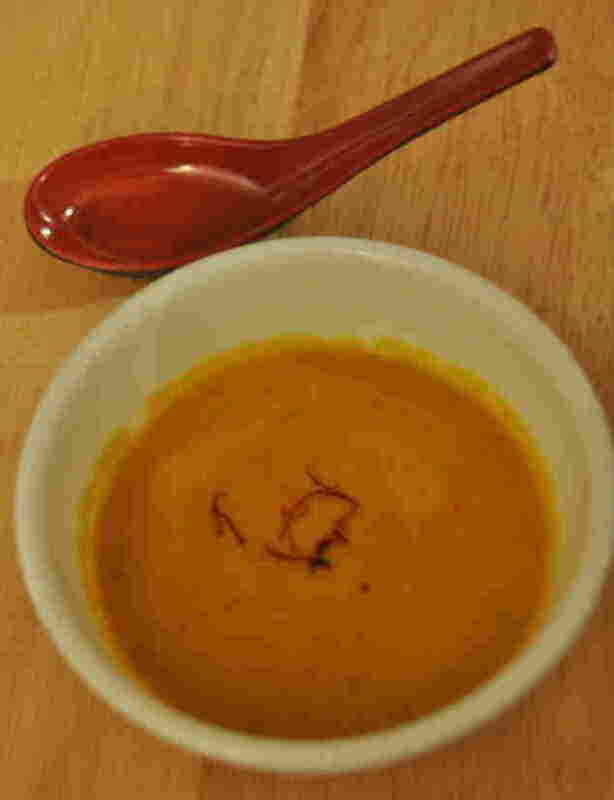 Saffron: You Can Have Too Much Of A Good Thing Food writer Monica Bhide, who was born in India and now lives in Washington, D.C., came into the NPR studios to demonstrate two recipes with saffron — a carrot-leek soup and an Indian dessert. "Great chefs say if you can taste the saffron in a dish, you've gone too far. You've messed up," she says. Saffron is a prized, expensive spice — but when it comes to cooking it, you can have too much of a good thing. 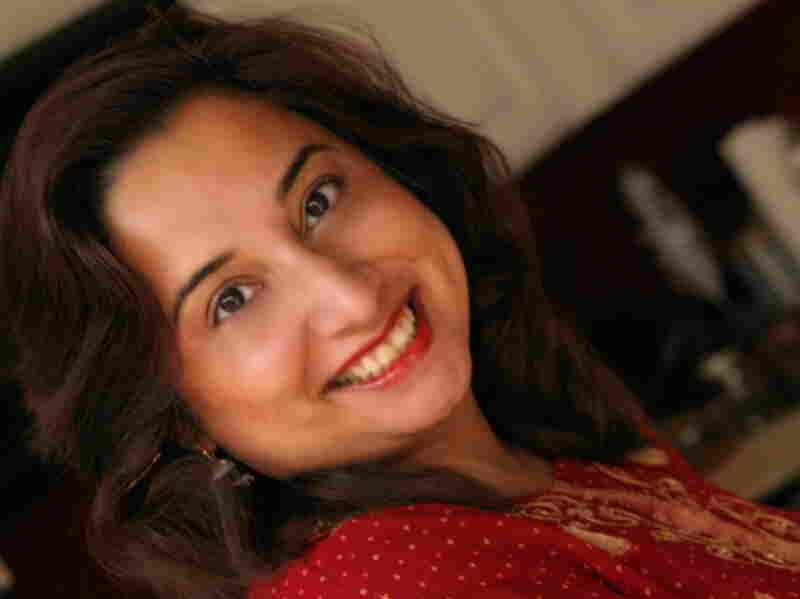 That's according to food writer Monica Bhide, who was born in India and now lives in Washington, D.C., where she writes a syndicated column called "Seasonings." Bhide recently demonstrated two recipes with saffron — a carrot-leek soup and an Indian dessert. "Great chefs say if you can taste the saffron in a dish, you've gone too far. You've messed up. You've completely messed up. It's all about the aroma," Bhide tells NPR's Guy Raz. "When I was growing up, when saffron was added in a dish, it signified you were special. They were going out of their way to add this very special, very expensive ingredient. And so it's done with just a little pinch. Enough for people to say, 'What's that?' "
As Bhide started cooking the carrot soup by chopping up carrots and leeks and adding them to the pan with oil, she offered this important tip — when cooking with saffron, don't use oil that's flavored. "I have a number of cooking students who would always use olive oil when cooking spices," she says. "To me, olive oil competes with the spice, because if you have a really good olive oil, that's the flavor you want to shine through. So just a regular oil, grape seed oil which has no flavor." While Bhide adds the other spices — turmeric, coriander, salt — before she adds the broth, she adds the saffron after she adds the broth. "Saffron releases itself the best in warm liquids," she says. 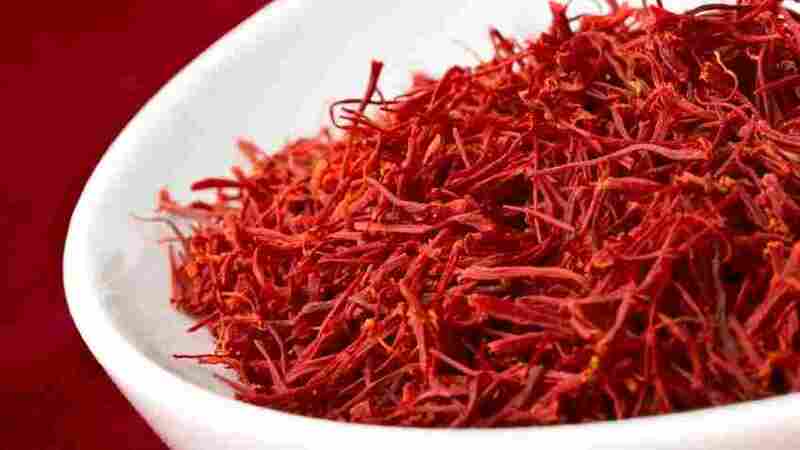 Saffron is expensive because it comes from a crocus, a purple flower that originated in Greece. And it takes 75,000 crocus flowers to make 1 pound of saffron, Bhide says. "So just to give you a visual, that's like a football field of flowers," she says. It grows in places like the Kashmir Valley in India, Iran, Spain and Turkey. Some countries like New Zealand, Bhide says, are also starting to grow and sell it. In the U.S., Bhide says you can find it at Indian stores, major supermarkets and online. "If you spend $10 to $15, it will last you through several meals," Bhide says. The rule of thumb is to use about three strands a person — or a little more than half a teaspoon, she says. As the soup simmers, Bhide turns to dessert. She brings out plain yogurt that she had put in a cheesecloth overnight to let the water drip out. She says you can add sugar or honey to sweeten it, but she suggests that if you use honey, pick one that's not strongly flavored, like clover honey. Then she adds the saffron that has been soaking in warm cream for 20 to 30 minutes. As Bhide cooks, she doesn't taste anything — she doesn't stick a spoon in a pot. "I grew up in a Hindu household where, first of all, the kitchen is considered sacred," she says. "Everything you're cooking in it is sacred. And the first portion of the food is always for the gods. So if you actually taste while you're cooking, you're making the food impure. So I remember when my grandmother would cook, we're cooking by sound, sight, smell, and when everything would be done the first plate of food would be given to animals. Usually there'd be a dog or a cow in the back, and they say animals carry the spirit of god because they're so pure." Melt the butter in a medium (3-quart) saucepan on medium heat. Add the leeks and cook for about 6-7 minutes or until translucent. Add the carrots, and bell pepper and cook for another 5-7 minutes or until the carrots begin to soften. Add the turmeric, cayenne, coriander, saffron and mix well. Cook for another minute. Add the stock and bring to a boil. Cover and cook for about 20 minutes or until the vegetables are very tender. Working in batches, puree the soup in a blender. Stir in the cream, salt and pepper and garnish with saffron. To prepare yogurt cheese, place a colander over a medium bowl. Line the colander with several layers of cheesecloth. Place yogurt in cheesecloth. Refrigerate at least 8 hours, until whey has drained out (overnight works best). Spoon yogurt cheese into a clean bowl. (You can discard the whey.) Add granulated sugar and ricotta. Mix well with a spatula or hand-held blender. Adjust sugar to taste, adding up to 1 tablespoon more. Blend the saffron and milk into the yogurt mixture. 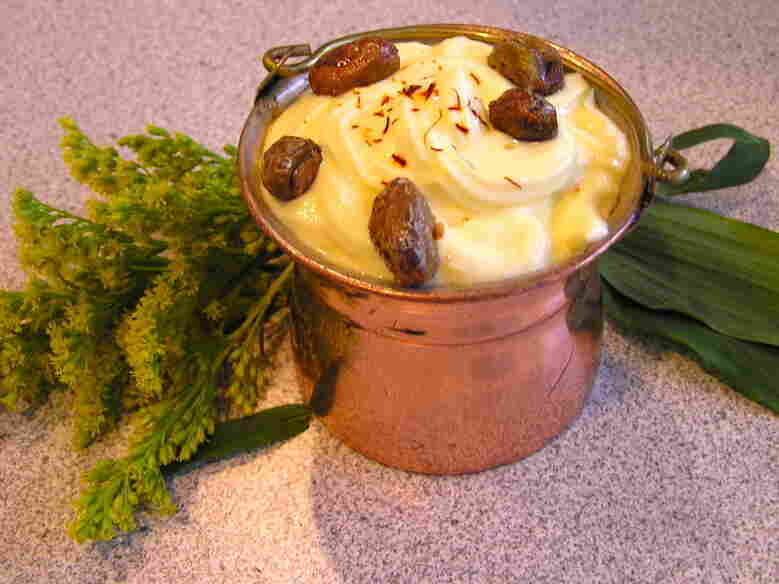 To serve, spoon the yogurt cheese mixture into serving cups and garnish with saffron. Variation: You can also top with plain, unsalted sliced pistachios. You can also garnish with pomegranate arils, strawberries, kiwi slices and more.